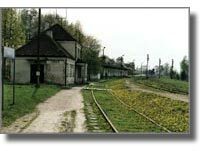 The rebellion in the concentration camp Sobibór in October 1943 is one of the defining events in the history of the Third Reich. One of the 320 inmates who managed to escape was 16-year-old Thomas Toivi Blatt. The newly won freedom turned out to be an illusion, though. Old friends denied him assistance and one of his supposed protectors even tried to kill him. Blatt, who now lives in the US, has been working on his live-story “From the Ashes of Sobibor: A Story of Survival” for forty years – regularly visiting his former homeland. Renowned documentary-filmmaker Peter Nestler accompanied him on his trips to Poland, trying to answer the question: How is it that good neighbours or even friends can turn into traitors, tormentors and murderers? Caligari: 07.04. / 1.30 p.m.